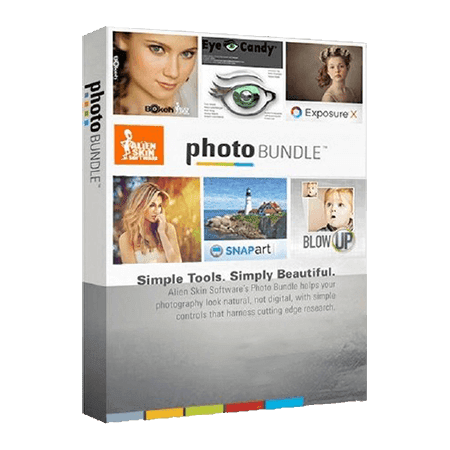 Alien Skin Collection - a collection of plug-ins and image filters for Adobe Photoshop, Elements and Lightroom, which will be useful for both novice and professional designers. With them you can easily and efficiently process or decorate your images, change photos by adding different effects. The kit includes: Exposure X4 Bundle, Eye Candy 7, Exposure X4, Blow Up 3, Snap Art 4. 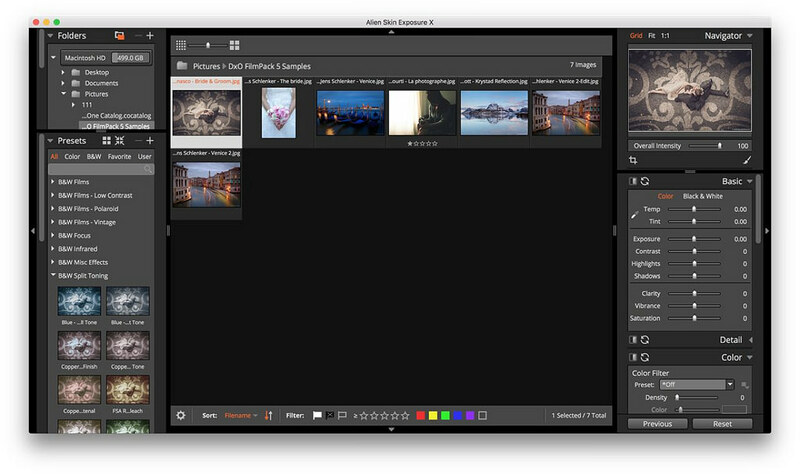 Exposure X Bundle is a photo editor and organizer that combines all of Alien Skin's plug-ins for editing photos in one product. The kit is based on Exposure X, a photo editing application that optimizes workflow and provides a wide range of creative tools. Also in this kit includes two additional applications to enhance creative possibilities: Blow Up 3, which is designed to increase the size of images with maximum preservation of their quality and Snap Art 4, which turns your photos into beautiful handmade paintings. • All filter groups are combined into a single interface. • Filters: Colored pencils, Comics, Impasto, Oil paint, Pastel, Pencil drawing, Pen and ink drawing, Pointillism, Stylization, Watercolor, Colored chalk drawing. 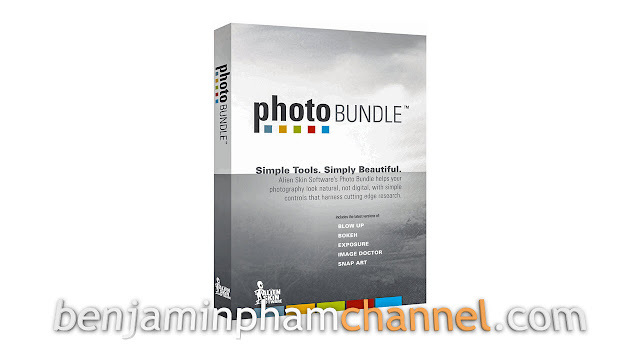 • Tight integration with Lightroom and support for batch processing (Photoshop is not required). • Ability to clear fine details by returning to the source in specific areas of the image using the function of detailed masking. • Algorithms for applying strokes and strokes to reproduce the natural texture make objects natural and recognizable. • Ability to save any of your settings presets and presets for later use.